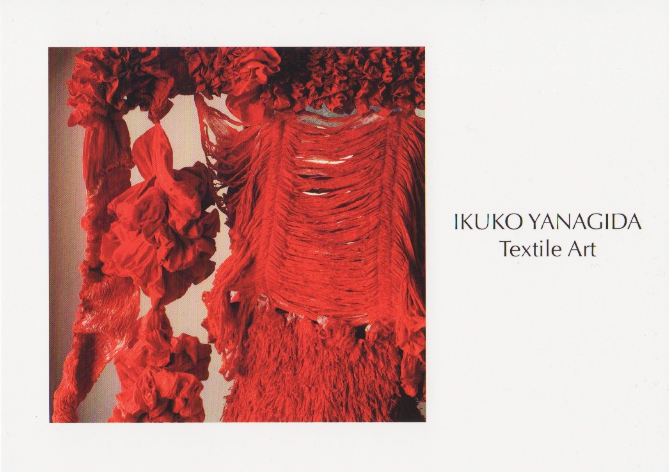 Ikuko Yanagida, is a textile artist from Japan, is having a gallery showing in the Robert Mango Gallery in NY from September 23 through September 29th. My new project in 2015. This project has been inspired by Japanese Sennin-bari※ (the thousand stitch belt). This concept is based on seeking happiness and peace in the world. ※Japanese women would ask a thousand people to stitch a piece of fabric during World War ll as defending their son and returning safely from the front.